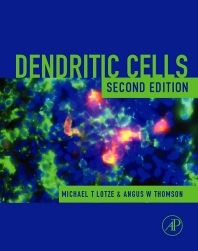 Dendritic Cells, Second Edition is the new edition of the extremely successful book published in 1998. With the volume of literature on dendritic cells doubling every year, it is almost impossible to keep up. This book provides the most up-to-date synthesis of the literature, written by the very best authors. It is essential reading for any scientist working in immunology, cell biology, infectious diseases, cancer, transplantation, genetic engineering, or the pharmaceutical/biotechnology industry. Adriana T. Larregina and Louis D. Falo Jr.
R. Ignatius, R.M. Steinman, A.Granelli-Piperno, D. Messmer, C. Stahl-Hennig, K.